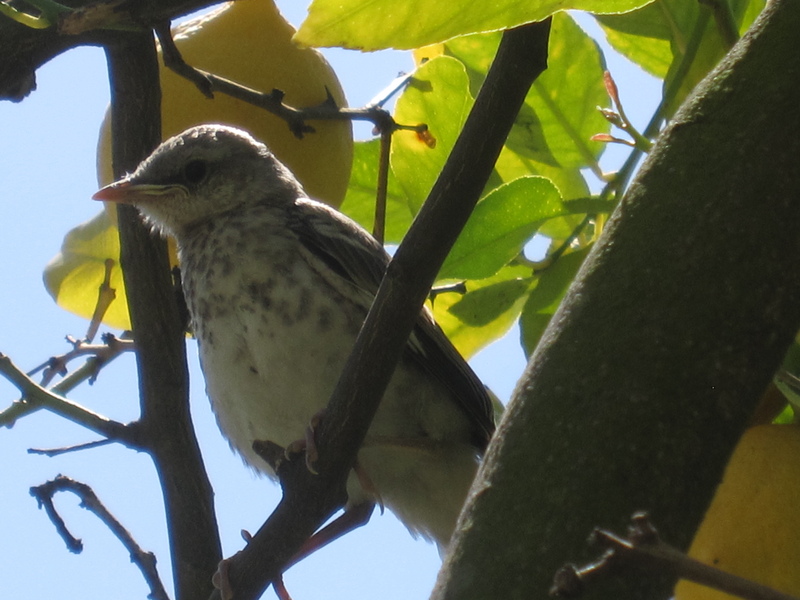 Here he is, in all of his glory: my erstwhile nemesis, the almost-orphaned, constantly-cheeping, newly-ventured-out-of-the-nest mockingbird chick. The cutest, right? I took the time to get out the good camera for these shots, so I caught him from both sides. Here’s the reverse angle. Don’t you just want to squeeze his plump little chest? Gently, of course! Sigh. By the end of the week I suspect he’ll be gone. His nest-mate already is. Sniff, sniff. They grow so fast! 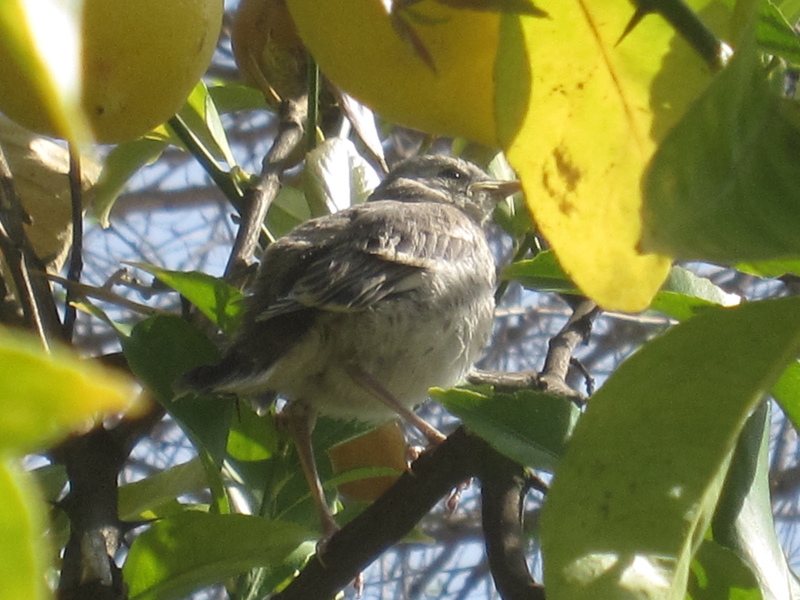 This entry was posted in childcare, Garden and tagged baby mockingbird on April 18, 2012 by thumbstumbler.